Ernesto Valverde is now officially the FC Barcelona coach. The new man was presented as the Barça boss on Thursday in a series of events accompanied by president Josep Maria Bartomeu and sporting vice president Jordi Mestre. The man who played for Barça between the years of 1988 and 1990 signed a two year contract with an option for a third. “My predecessors have all been top quality like Luis Enrique, Tito Vilanova, Guardiola and Johan Cruyff. When I think of them I realise that this is the challenge I wanted,” he continued. 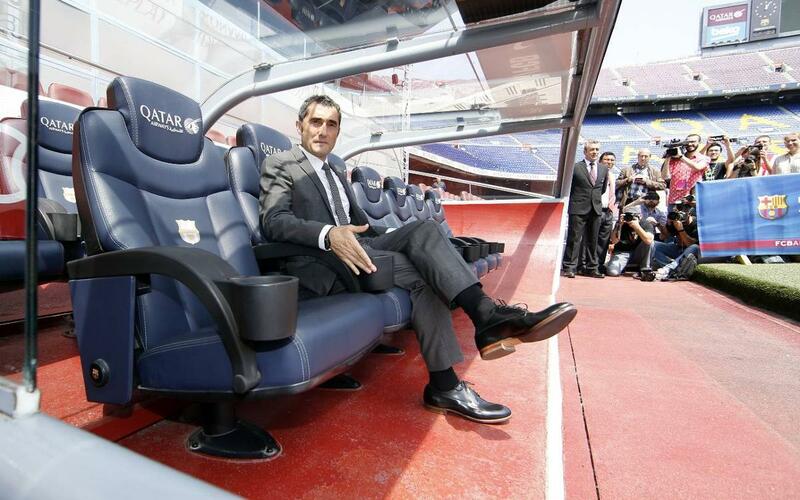 Valverde becomes the 57th coach in Barça’s history and he thanked the Club for the confident they have shown in him. “I am enormously grateful to the president and the Board for choosing me. It’s a great responsibility and I hope to be able to repay that confidence,” said the new boss.